In my next life I want to be a casual drama watcher. I’ll gracefully dip into dramas that charm me, keep an appropriate emotional distance; dabble here and there. Instead, I am THAT person, the hair-pulling, mouth-frothing, wildly ranting lunatic that yells at the screen when in the thrall of a great drama. This is the result of a steady diet of fairy tales fed to me from an early age–it allows me to suspend disbelief and invest completely in the drama landscape ahead. Thus, like the straight man to the funny comic, I am the perfect audience for a plot switch. We all have certain dramas that change us. For me it’s because those dramas elicit a visceral response that they capture an ephemeral something that speaks to the human in all of us, and they become a much greater sum than their parts. The Lonely Shining Goblin was a pinnacle for me. I love the entirety of the drama, but there are two scenes I faithfully revisit and they both involve plot switches and the gods. One scene happened early on in the drama where we had a school-aged Deok-hwa and the Samshin Granny walking toward each other on the bridge. As they walked closer to each other, there seemed to be a wave of mutual recognition and a faint smile appeared on the face of the granny. In a moment of TV magic, their personas switched as they passed each other. Deok-hwa transformed into his current age (his 20s) and the Samshin Granny became a young goddess. This was followed by an adorable exchange where he asked her out for drinks. The second scene I revisit often happened in episode 12. Reaper and Goblin compared notes and realized that all was not what it appeared to be when it came to Deok-hwa. They rush out to meet him at the club and find him…but were unable to approach the bar where he sat. (I don’t know why, maybe a space-time continuum or force field?) In the fraught exchange that ensued, Reaper and Goblin came to realize that God inhabited Deok-hwa, and that they were speaking directly to God. He questioned them both on their limited understanding of the past and their beliefs, and left in a cloud of butterflies. Deok-hwa collapsed as the scene ended and returned to his normal self. In each scene–Samshin Granny in the first and Deok-hwa in the second, the character became so much more than their original footprint in the drama. They unexpectedly occupied a larger role with the plot switch, and with their entrance the conversation carried over to larger questions of fate, of choices made or not made, and of impacts that lasted lifetimes. They enthrall me because they force us to look deeper into the world around us, and they ask us to question how we come to make choices in our lives. My last example involves the gods and fate as well. Oh Hae-young Again was another memorable watch, and the course of true love played out between our heroine and Do-kyung resonated with me. Our OTP spent the much of the drama’s run scrambling to overcome fate’s bad hand. Just as the couple were eagerly planning their happily ever after, the gods (or fate) intervened, and Do-kyung realized he had not escaped his death curse. It was a rabidly fiendish plot twist and a blow to Hae-young and Do-kyung. It was a plot switch on the level of the Truck of Doom: shocking and squealed out of left field. (Do not worry Reader, we still ended on a happy note.) It was very effective, as it forced viewers to rethink our expectations of what constitutes a happily ever after–and what we can truly control in our lives day to day. In both dramas, the plot switches served a purpose. They forced us to examine our fundamental suppositions about life, the gods, and what we truly deserve. As always, it’s up to us to find the answers. Thanks @beantown for bringing up good ol' Goblin. I really loved that show, Lonely, Shiny and all. I'm like you in being a great audience for switches and twists. I may sort of expect some of them but usually not all, and I get so blown away by the surprise or the horror! LOL. I was aghast at the twists of Goblin 'dying' and yet not dying, ... well because he twisted it so that he chose to remain in limbo, neither dead nor alive. But I liked that he left the possibility open that he might return to Eun Tak. I was frustrated by the Eun Tak twists of forgetting but not entirely forgetting when she re-read her journal and made the return trip to Quebec. And I was so relieved that the falling leaf finally got her remembering how to call Goblin. I was somewhat less invested in Suuny and Reaper, but I even thought it right that Reaper and Sunny should be connected yet always apart, since their togetherness needed to be earned in another lifetime. And the happy twist was that they really got their next lifetime together, but forgot Goblin. Also there was a surprise twist that Sunny never actually forgot, only that she pretended to. Having survived the initial twistiness, I felt that I was able to accept the decision of Eun Tak, just a day after her wedding, still destined to die and the loneliness of Goblin, a real, horrific twist for the hearts of romantics. What a decision to make, but so in keeping with character, therefore I was fine with it. If ever there was a grand love story, Goblin was it - a love to span multiple life-times, hundreds of years, accepting death and loneliness to wait for each other once more. Thank you!! @growingbeautifully I am not surprised that we share a deep love of all things Goblin, esp. after our time with JBL❤❤❤. I agree with you wholeheartedly, Goblin was a grand love story, and it will own a little piece of my soul forever! I don't want to sound shallow after that wonderfully eloquent post of yours, but man does Sungjae's face structure look flawless in those two screencaps. I admittedly paused to look at the pictures more closely every time I scrolled through. lol. On another note, for me, one of those Deok-hwa moments that lingered with me was when he said goodbye to his uncle receiving the credit card, and then when he received his uncle back in tears. The "plot-twist" to me, was the fact that I realized that this spoiled brat was after all, a good kid underneath it all. Though I admit I've rewatched that scene in the bar more than twice or thrice. Not shallow at all! I think part of the reason Sung jae was so believable as God was BECAUSE of his unearthly beauty! Thank you so much for this lovely article :). Goblin is one of my fav fairy tale dramas taken with a few pinches of salt and the first one I truly live watched from ep 1 and it did not disappoint me and I loved both plot twists and the banter between goblin and reaper. I loved that last twist in Oh Hae Young again but I was ready to bet everything that it would happen like that. I appreciate your kind words! @oppafangirl Goblin is one of my faves, too, as well as an incredible live watch. I agree with you completely about the few pinches of salt! I can be picky about what I choose to watch, but once I'm in, its a long-term relationship.....and seasoning always helps! You are obvi much smarter than me, as I was flabbergasted😲😲 by that last minute twist in Oh Hae Young again. At that time I had less than a year under my belt as a kdrama watcher, so I was still learning all the tropes, etc! I won't say smarter but just that it is the basis of Indian culture, fate (I grew up there). Its something very cultural and I think common across all Asia probably and a part of our upbringing. We have heard and read so many such stories from childhood. We also are congenitally allergic to the idea of fate- it's in our DNA to believe we are its masters!! I actually love many shows done on gods even on Indian TV, some are very rich in story and plot and some very funny (intentionally, there are comedy shows about gods in my country, mostly over god of death). I remember calling up my mom after watching the opening of I think it was arang and the magistrate and telling her that they had the same god of death as us and even with his assistant. I recommend watching "Yam kisi se kam nahi" for a cross of part Sky castle and god fantasy romance. Yam is the name of the god of death who is also the grim reaper and he got a wife from earth and an assistant who graduated from the top university in India. And its a social commentary on a lot of things about India. This god went over to Korea with Buddhism, even has the same name. OMG! Someone wrote about Goblin! I thought about writing one, but I don't want to look like that person that is obsessed with one show. (I am that person.) So, thank the drama gods you did! Deok-hwa/ Butterfly-god was the BEST plot twist. But with Oh Hae Young, I never thought he would actually die and the repeated scenes showing his premonition did get annoying to me personally. No other show since Goblin has allowed me to be as emotionally invested though. The OST brings me back to certain scenes as well, and all the emotions I felt while watching this. I'm so glad I got so many of my friends on board with this too, and it was the first kdrama for all of them. We all share a special connection because we watched it together and there's still something special about being the "first" one that captured my heart. Thank you, @beantown for letting me revisit it! You are welcome, @ally-le and I will gladly share in your obsession for Goblin! It truly was a cataclysmic show for me, and I often reflect back on its deeper meanings. It was/is special for good reason. Btw, I am envious of your RL drama buddies, I've tried to convert daughters, etc, but they kindly tolerate my obsession, rather than jump in. You are fortunate! I suspected there was more to Deuk-hwa, but God, the God using him, that one took me by surprise. The scene in the bar is so well done. I especially love the chair he is sitting in, with the raised middle finger. Makes me laugh every time. Also, Lee El was perfectly cast for her role. I also loved the gravitas of it- God threw all their (Goblin and Reaper) beliefs and assumptions away with a few pithy questions. He essentially wiped the floor with them, and then made a grand exit. She was the perfect choice. God used the little boy too. Sunny chose to not forget because it was her choice and no god should choose for her. I think it was very sad she chose to be alone to punish the Grim Reaper (he deserved it) because she suffered as much as him. @kurama I agree! I think the reason Goblin lingers on is because of the deeper questions it asks. The butterfly flitting away after Sunny’s rant on her memories being hers to remember or forget was priceless! Is it really possible to be a casual drama watcher? Good question; my experience leads me to guess no! If you are a serious kdrama watcher, you are a fanatic. Thank God(he he) for the Goblin because it was such an amazing drama. And for me, one of my favourite scenes was the revelation that God was with them all along. Never saw it coming and it took me by surprise and I love it to this day. Sungjae really outdid himself in that scene and when the Goblin was remembering all the scenes that God was there.... Wow! I am someone who does not like surprises, in fact I read the episode here first and then watch it, but that episode I saw it first and I'm so glad I did. That for me was the best plot twist! And then it continued with Sunny and the young boy(God). I always rewatch that scene, it is one of my favorites! For me, Goblin is a genius loci in itself. The entire premise of the drama has its own sense of place, or rather a spirit of place that not many other dramas or movies can replicate. 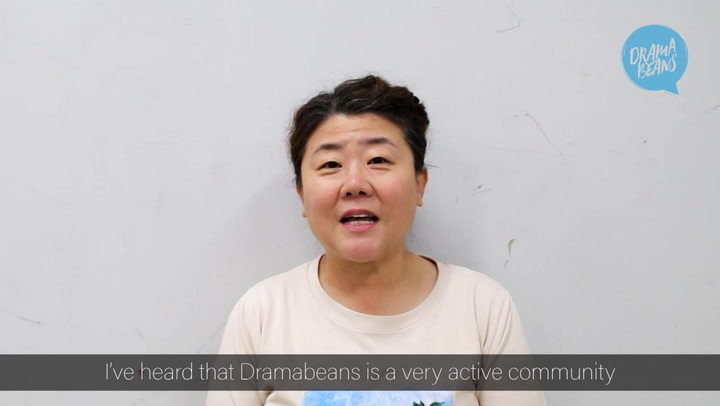 It has carved out a special existence for itself in KDramaland. What I'm trying to say that it's a unique production that would stand on its own and still remain relevant in many years to come. Yes! I completely agree with you! It is a masterpiece, and like all great works of art it opens and allows us to examine our own lives and beliefs. I recently watched Oh Hae Young Again with my wife. It was a heck of a ride. And I have to say this- Goblin was truly sui generis. It may have borrowed tropes from elsewhere but it was one of a kind. Goblin transcends description. The writer wrote Goblin in response to a close friends death, which makes so much sense. Did your wife like it as well?